We design websites with results in mind, so we like to know what makes your business tick. 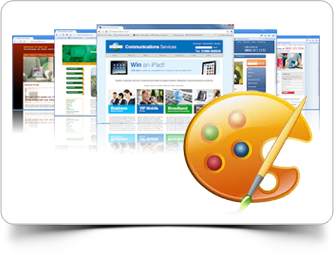 We'll listen carefully, then help you create the website design you need. And if it's not right, we change it. Again and again, until you're 100% satisfied. Guaranteed. Like any trade, it takes time for web designers to perfect their skills. That's why our wealth of experience sets us apart from our competitors. We've built websites for over 300 clients so we know what works and what doesn't. Even the best copy needs refreshing so we promise to update your website completely free of charge. Text and images sent to us will go live on your business website within 48 hours. No messing around with complex updates. It really is as simple as that. Some web designers think templates are good enough. We don't. Every client deserves a unique website with bespoke web design and that's what we deliver. Creating satisfied customers time and again. These days you need to design with mobile in mind. Customers want access to info on-the-go and your website needs to be able to keep up. We can build mobile websites or make your existing website perfect for any device. So regardless of what business you're in, or what device you want to be seen on, we have a solution waiting to be put into action. You probably don't want to spend ages solving IT issues. Our remote assistance lets us give speedy answers and support to solve your problems as quickly as possible and if there's a charge applicable we'll tell you upfront.